Is garage door spring repairs the cheap and easy solution that you need for repairing a garage-style door? Whether you are a homeowner or a business owner, having the springs on your garage doors working optimally prevents several types of serious problems including fatalities. If you are looking for a garage spring replacement or garage door spring repairs in the Fort Worth ares, contact us today! When you are committed to excellence, this often takes the form of only using the highest quality repair and replacement parts. We back up the best parts by having the best people to make assessments about repair issues in order to execute the best plan for parts replacement. By paying attention to detail and training each technician in-house, we ensure our customers are building our reputation and that they will easily become part of our long list of glowing testimonials. When you only have one garage door on your property, it can easily be neglected. Despite this, a garage door needs regular inspection and maintenance like all the other areas of the home. 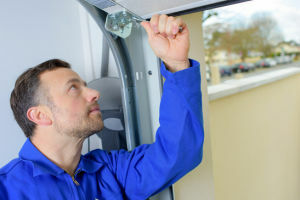 However, once the importance of having garage door springs regularly inspected is explained, the reasons behind hiring Texas Overhead Door will become obvious. No one wants to take a bundle of cash outside and set it on fire, but this is the end result of having a garage door that does not shut properly because of bad springs. Instead of allowing heating and cooling to escape through your garage door, call a specialist to see if they can save you money on utilities by doing a few basic repairs to your garage door springs. In many cases, a simple tune-up is all that is needed to get the door to make a tight seal when it closes and garage spring replacement is not necessary. No one expects accidents to happen, but you can increase your chances of this occurring if you dismiss garage door spring repairs. In some cases, accidents that can be caused by a garage door involve someone from outside the home operating the broken door. For example, a good Samaritan notices that someone tried to break into your home, but then has an accident when they attempt to lift up the door with the broken spring to do an investigation with the police while you are predisposed at work. When you own property, you like to think that you have everything up to code and under control in case your need to use your insurance policy. Unfortunately, if you have a weather or theft-related issue that can be traced back to a faulty garage door spring that needed repair, it could potentially increase your property insurance annual premiums. Alternatively, if you can show the insurance company that you have your property regularly inspected to include garage door spring repairs, they may reconsider placing liability on you and cite you for being neglectful. When criminals approach your business or home to rob you of your property, they often test a door to see if it can easily be pried open. Of course, if your garage door seems wobbly from the outside because of a loose garage door spring, it could be the green light for the burglar to pry the door open. Sadly, in addition to a loose spring being the way a burglar can rob you of your property, they may also damage the door permanently by trying to pry it open. Although there are many problems associated with a broken garage door spring, most people forget that an insecure garage door due to broken springs can easily become a weapon for Mother Nature to hurl. Anyone that lives in an area prone to high winds or tornadoes is full aware that if something is not securely in place, it can become a toy for the wind to play with that can lead to some serious damage. To make sure your garage door is not tossed about on its hinges or ends up dislodging to wreak havoc on the neighborhood, get a regular inspection performed on your garage door springs. 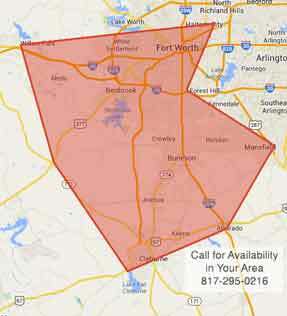 At Texas Overhead Door, we are proud to serve the North Texas community for commercial and residential needs. Whether you require more information about garage doors, the springs they contain, or the types of replacement and garage door repair options available, we are here to help. To get started, contact us today. We thank you in advance for choosing Texas Overhead Door, and we look forward to meeting you for an on-site assessment of your garage door.